The building team has continued improving forward movement, to make it as consistent as possible and so that the robot does not wobble whilst moving. 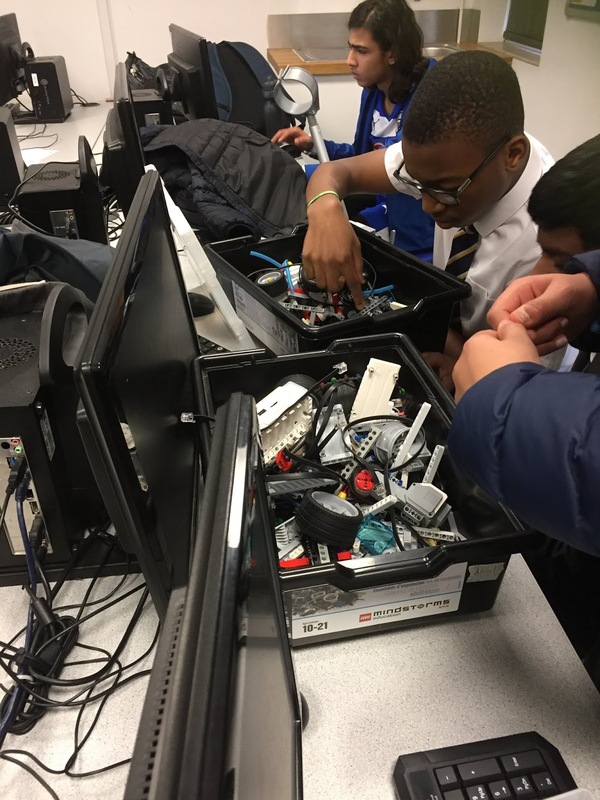 They have also been working on improving the attachments and the mechanisms that connect them to the robot, changing the 4 -toothed gears to ones with more teeth to improve accuracy. We have had a reply from Professor Owens, he gave us a contact for Ruth Bamford, who is working on the same idea as us at the Rutherford-Appleton Laboratory. We then contacted her to ask her about our project idea. We are also working on contacting NASA and the European Space Agency about our idea. 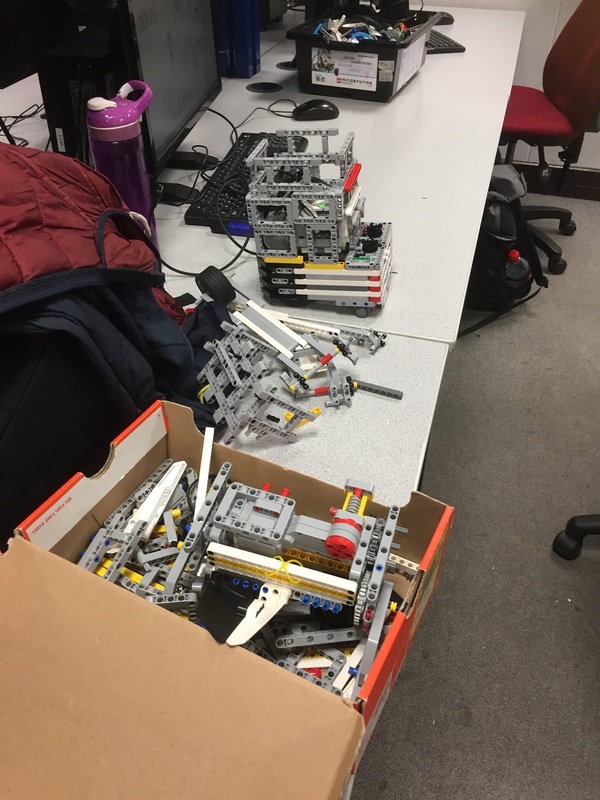 The year sevens and eights have just started to build their robots fro the sumo competition. Some of them have been using some ideas from the Lego website to make their robots even more competitive. They have also been experimenting with different attachments, such as flippers and grabbers, to make their opponents unable to move.